Pictorial-style, personal bookplate featuring a center image of a figure holding a scale and sword. Title text surrounding. 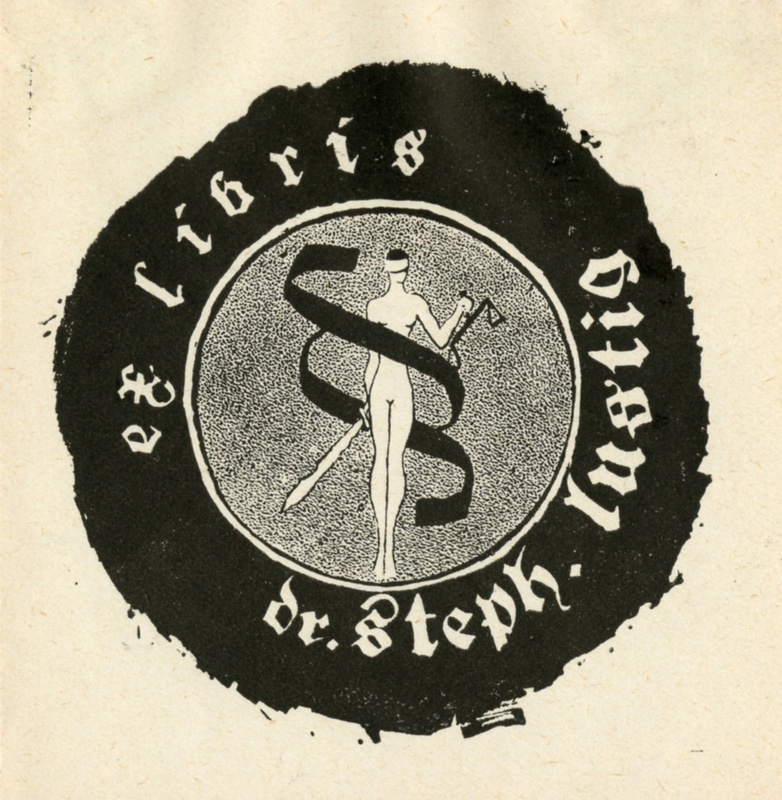 ~ Stamped Bartos, Szeged on back, “Ex-Libris Dr. Steph. Lustig ,” Portsmouth Public Library's Online Archives, accessed April 23, 2019, http://portsmouthexhibits.org/items/show/1554.